I’ve been using the TM-V7 for several years now, and as many of you might know, the display becomes very hard to read after a while. The contrast is very bad, and you have to reconfigure it after the rig gets warmer. I found a kit on Ebay to fix this problem, but it was quite expensive. After a bit of research I found that this kit just contains some “special LEDs” – What could be so special with those LEDs? I disassembled the display to analyze how the lighting works, and found 4 blue LEDs behind the LCD. Those LEDs are supposed to be responsible for the bad contrast of the display? First I couldn’t believe this, but as I took a closer look at the LCD it was quite obvious. – Without current the LCD is completely blue and gets transparent when displaying anything. So why are the backlight LEDs blue? The contrast MUST be bad, when illuminating a BLUE display with BLUE LEDs!! I changed those 4 blue LEDs with 4 ultra bright white LEDs 3mm and it was amazing!!! The display is now crystal clear and has a contrast even better when it left the factory. All the numbers/QRGs are displayed in pure white and the rest of the display comes in a warm blue. Great contrast!! As I used LEDs with 6800mcd the display is much brighter than before. You can read it even in direct sunlight. Great improvement and modification! The only thing this mod can’t optimize is that you have to recalibrate the contrast from time to time as the rig gets warmer/colder, but this comes from the LCD itself. I hope I could help some OMs to fix their TM-V7 with this short story. It’s difficult to get this on picture, but in real it definitely looks nice! and it is only mounted by the ribbon cable. If this is broken you end up with a brick. Also be careful of scratches on the LCD - it is very weak. this can be missed very easy. and then turn the potentiometer to set the best possible contrast. If you have any further questions feel free to ask! 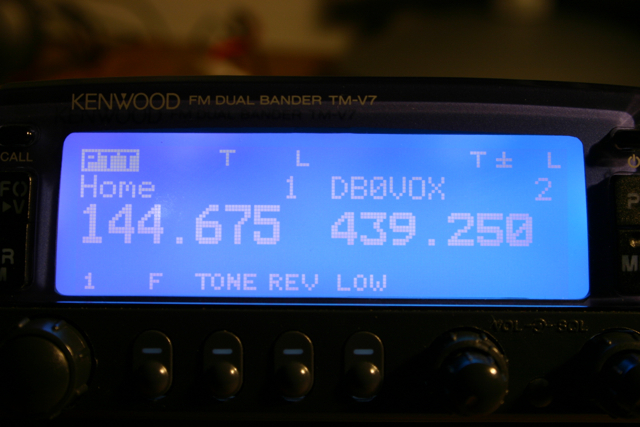 I bought the Dual-Band Transceiver TM-V7E and recognized that the s-meter shows only 5 of 7 lights when i was testing with a handheld on the same frequency close to the Kenwood. So i decided to adjust these settings according to the service-manual. First this was a little confusing, but when you read this manual 3 times you’ll get it. So first you have to “build” the so-called “service-jig”. This is only short-circuiting pin 3 and 6 of the data-terminal in front of the transceiver. I used a small piece of wire that i bended around and putted in. Next you have to press the “F-Key” and “TONE” simultaneously while powering on the transceiver. It needs an “ALL RESET” and after that you’re in the adjustment menu. 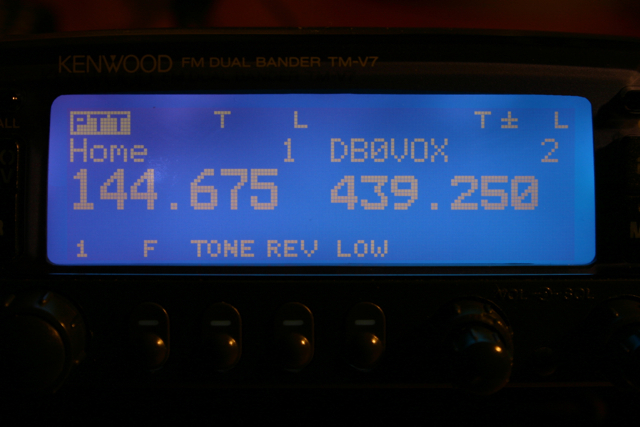 Repeat this step for the VHF high-signal settings until you think the s-meter should do it’s job again. – I know this is not an accurate setup of the s-meter, but it might help some OMs to correct these settings for “home-use”. I had to repeat these steps a few times, until it was satisfying. 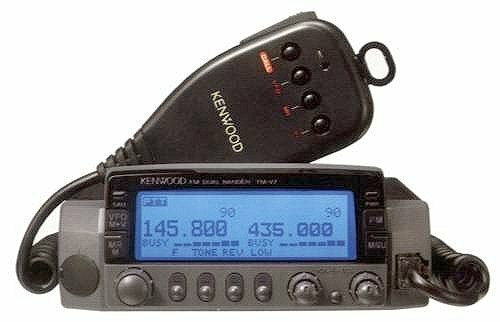 Let me know about your experience of adjusting some minor things like the s-meter of the TM-V7E. Maybe you have some tips for me too. Der Zugriff aufs Webmail-Portal ist für jeden Benutzer möglich. Fehlermeldungen des Browsers wegen SSL-Zertifikatsproblemen bitte einfach mit “OK” bestätigen. Hierbei bleiben alle Emails auf dem Server, ohne sie abzurufen oder zu löschen. Es ist somit möglich Emails mit dem Mailclient (Outlook,Thunderbird etc.) oder dem Webmail-Frontend zu lesen, zu bearbeiten, in Ordner zu verschieben usw… – Diese Änderungen werden auf dem Server vorgenommen, so dass es somit möglich ist, das Postfach von überall zu erreichen. Es ist nach wie vor möglich die Mails im klassischen Sinne “abzurufen”. Hierbei verbindet sich der Mailclient (Outlook etc…) auf den Mailserver, und lädt dann die dort vorhanden Mails herunter. Danach sind diese in der Regel auf dem Server gelöscht, und können dort auch nicht wieder hergestellt werden. – Nachteil ist, dass man somit immer ein leeres Webmail vorfinden wird, sollte man den Rechner zu Hause mal gerade nicht zur Hand haben. Benutzerautentifizierung muss aktiviert sein und man muss TLS(SSL) aktivieren. Sollte es Unklarheiten bzgl. der Konfiguration geben, stehe ich gerne zur Verfügung. Even my existing Folders did now longer exist – They were still in the .maildir, but not visually shown in Apple Mail.app. I tried to change the IMAP Prefix in the preferences, but it still didn’t work. Habe den alten Server nun endlich runtergefahren. srv01 =14:32= [~]> Connection to 213.95.21.110 closed by remote host. Fall jemand Interesse an einer alten Sun Ultra 10 mit 512MB RAM hat, moege er sich bei mir melden… Guenstig abzugeben. Werde nun mal sehen, ob die User Mails vermissen bzw. die Logs im Auge behalten. Nun konnte ich den Fehler beheben, dass im Apple Mailer keine IMAP Folder angezeigt werden, und auch keine neuen angelegt werden koennen. Die Version von Dovecot, die mit Debian Etch/stable mitkommt scheint zu alt zu sein. Das Problem liess sich mit den Backports Paketen loesen. Apple Mail.app kommt anscheinend nicht mit den IMAP Foldern (Mailboxes) zurecht, und zeigt diese erst garnicht an. Auch das Anlegen von neuen Mailboxen funktioniert leider nicht wie gewuenscht. Ich bin im Moment noch am Fehler suchen, und mir den Arm “aus-google-n”. Da ich noch immer nicht müde bin, habe ich noch ein wenig an meinem Mailserver-Setup geschraubt. Einige meiner User (nein, ich schreibe jetzt nicht wer… ) verwenden leider sogenannte Catch-All Mailadressen. Sozusagen *@domain.com. Dies ist zwar nett, wenn man gerne ein volles Spam-Portfach haben moechte, jedoch nicht so wirklich prickelnd fuer den Admin des Servers. Also habe ich mir mal angesehen, wie man diverse Blacklists in den Postfix MTA integriert, damit einschlaegige Spam-Mails gar nicht erst angenommen werden, sondern direkt rejected werden. cooper’s Home is powered by noris network AG and Dell PowerEdge Entries (RSS) and Comments (RSS).